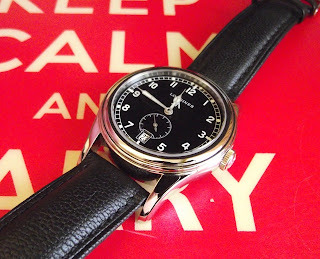 I have to say that is one of my favourite watches. 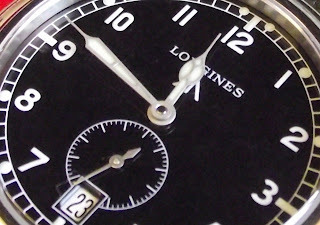 It is the Longines W.W.W. reissue reference L2.731.4.53.2. It is a modern interpretation of the Longines W.W.W. issued in the 40s. Of course the original Longines is more known as the 'Greenlander'. As for me, I still call it the W.W.W. watch. This watch caused some brouhaha when it was released. Many people were not happy with the watch, saying it made a mockery of the original, the sub-dial for the small second was all wrong, the inclusion of the date complication was sacrilegious, The crown was too small and many many more. I do appreciate their point of view. 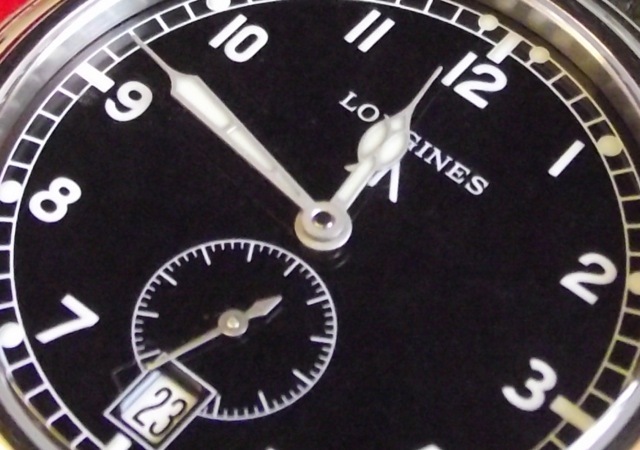 It was bad enough for Longines to even 'pull' the watch from its website for a time. However I still like the watch. I figure Longines could have made the watch an exact copy of the original, but I guess it would open the floodgate for frankenwatches, old Longines W.W.W. with perhaps new parts from the reissue? or even the other way around. Anyway, the watch. The strap is not original to the watch. I like the watch because of the dial. It is simple and easy to read. No unnecessary legends. It would be nice if it did not have the date complication, but I am ok with it. I also like the cathedral hands. 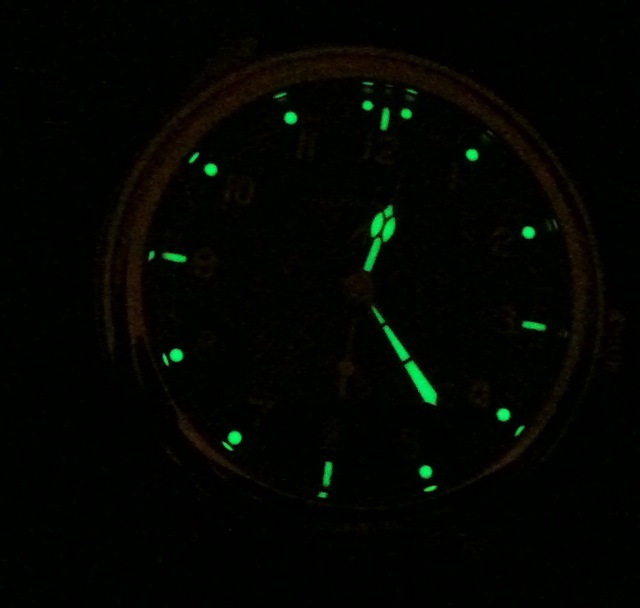 The lume, in partial darkness after a 30 second exposure to sunlight. 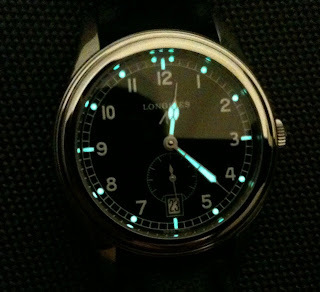 The lume looks blueish. 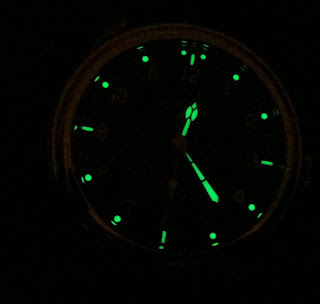 In total darkness, the lume is green. Case: stainless steel, 38.5 mm diameter, 10 mm thin. Do note that the lugs to extend a long way from the watch case.